Mouser has begun a global distribution agreement with Anvo-Systems Dresden GmbH, who specialise in non-volatile memory products. Mouser now stocks the company’s’ reliable, monolithic non-volatile memory products for a mixture of industrial, medical and communications applications, as well as IoT devices such as smart meters and building automation systems. The company’s product line includes both parallel and serial nvSRAM solutions. The nvSRAMs merge two proven technologies (CMOS-SRAM and SONOS non-volatile memory) into a new technology that is bigger than the sum of its parts, producing a product family of reliable, fast, and energy-efficient memories. With unrestricted internal SRAM functionality, based on standard parallel or serial SPI SRAM pinning, both fast reads and writes can be executed at the same high speed. The parallel nvSRAMs are 1Mbit devices with a non-volatile SONOS storage element incorporated with each memory cell. The devices provide two modes of operation (non-volatile mode or SRAM mode) and provide unlimited read/write endurance, fast performance with a 25-nanosecond access time, and unlimited RECALL cycles. The ANV32A62x devices are 64 Kbit serial SRAMs offering a two-wire serial interface (I2C) and a bi-directional data transfer protocol. The low-power devices are accessed by a two-wire bus, which can support up to four cascadable devices. 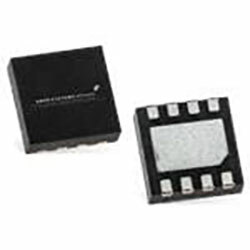 The company’s serial nvSRAM products provide an SPI interface to ensure reliable storage of data in the event of a sudden power drop or when initiated by a command. The series comprises the standard nvSRAM double memory architecture of two 1Mbit arrays, and offers fast access and cycle times and unlimited read and write endurance. To ensure high data accuracy, the devices feature dedicated safety features, such as flash memory that stores the data non-volatile, independent from external power supply. The series features 64 Kbit serial SRAMs with unlimited RECALL cycles, page and block rollover options, and hibernate mode for low standby current. Each SRAM features a non-volatile SONOS storage element, with automatic data transfer in the event of power loss or any brown out situation.